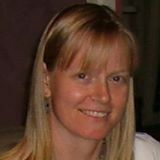 Please welcome a terrific new indie crime writer to Pilyara – Catherine Lee. I first met Catherine in 2008 at a Varuna Residency with the legendary Peter Bishop. The question posed in her then fledgling manuscript has intrigued me ever since – does the heart have a memory? 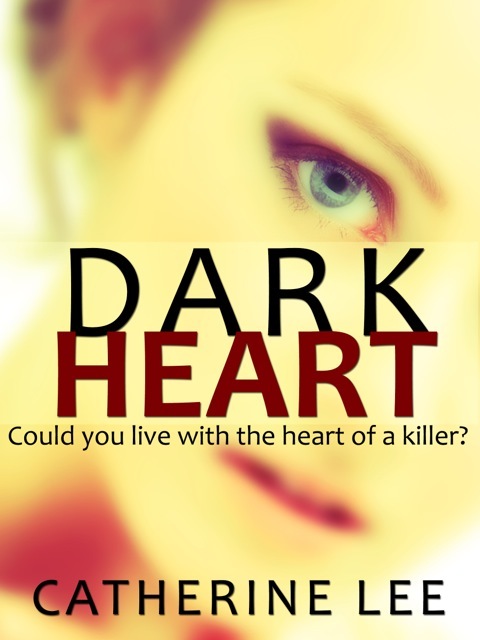 Her terrifying novel has since won a Varuna crime-writing award, and I’m thrilled to announce that Dark Heart is now available on Kindle and POD from Amazon. So without further ado, it’s over to Catherine! Welcome Catherine. 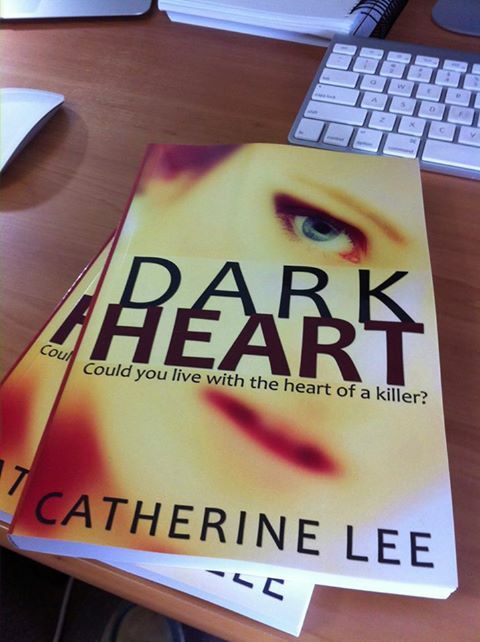 Can you tell us a little about your new release, Dark Heart? Dark Heart is the story of Eva, a young woman who gets a second chance at life when she receives a heart transplant. After the transplant Eva begins to have nightmares, and she soon discovers that the previous owner of her new heart was a serial killer. The killer’s final victim is still missing, and Eva realises that it could be the missing woman now haunting her dreams. She teams up with the victim’s husband and a fellow transplant patient, who has also experienced the phenomenon of cellular memory, in order to listen to her heart and help find the missing woman. Meanwhile Detective Charlie Cooper and his new partner Joey Quinn have two mysteries to solve – can they reach the final victim in time, and who murdered the serial killer? What do you love most about writing thrillers, and do you think it’s important for books in this genre to have an element of romance in the story? I love the twists and turns that thrillers take, I love coming up with outlandish ideas and figuring out how to make them work. I’m not sure that all books need to contain an element of romance, but quite often it’s a good fit for the story. Once you get to know your characters they tend to tell you what they need, and Eva just happened to need a hint of love in her new life. Are you a plotter or a pantser? Do you write detailed character profiles, or do you find the characters come to life as you write? Plotter, definitely. I had an elaborate spreadsheet for Dark Heart, which I developed after discovering that the first 30,000 words I’d written were going nowhere. I needed a plan, so I ditched the draft and spent the next three months plotting every chapter on my spreadsheet. It worked, and I’ve been refining my process ever since. I’ve moved onto Scrivener for my second novel, Dark Past. I love Scrivener, it’s a brilliant tool for writers. As for characters, I find character profiles quite boring to write. I prefer to let them speak for themselves, although I did find one exercise suggested by a friend quite valuable to use when a character is too wooden or boring. Rather than answering profile type questions, sit down and come up with twenty random things about them. It sounds too simple, but I find I get a much clearer picture of the character by doing this. How long does it usually take you to write the first draft of a novel? I’m not sure I’ve worked out what’s usual for me yet, as I’ve only just finished the first draft of my second novel. I do know that the second was a lot faster than the first, and the faster I write the better the quality of the draft. I like to write in the mornings, I find that if it’s not my first job it doesn’t get done. It’s my most important job, so I’m slowly getting it cemented into my daily routine that mornings are for writing. I’m almost halfway through a degree in Criminology and Criminal Justice, so my afternoons are currently taken up by study. In the evenings I try and wrap my head around all this social media stuff. It’s a lot of work, but being able to connect with readers and other writers so easily is priceless. There are a lot of really lovely people out there. Since everybody needs a break, even when doing something they love, how do you like to spend your time away from writing? I try and go for a walk every afternoon, just to get away from the screen. But the thing that really takes me out of my writing head, which as a crime fiction writer can be quite a scary place, is looking after other people’s children. I have none of my own, which is a personal choice, but I just love being Aunty Cat to all my friends’ kids. I’m sure that in years to come I’ll be known as the crazy aunt who reads and writes books all day, and I’m just fine with that. Man, that’s a hard one. Let’s see, if I could be so bold I’d probably go with intriguing, fast-paced, and unpredictable. Dark Heart certainly meets those criteria, and I’d love to think I can do it again! My next book, Dark Past, will again feature Detectives Cooper & Quinn. This time they are investigating a family with a secret in their past that someone is willing to kill to keep hidden. I can’t tell you too much about it just yet, but it will include some genealogy as well as delving into the cutting edge territory of gene therapy. Thanks so much, Jenny, for hosting me on your fabulous blog. Could you live with the heart of a killer? Fraser Grant was a kidnapper, a vile, murdering sociopath. Now he’s dead. Murdered in his own home, the women of Sydney can breathe easy again. All but one. His final victim is still missing — chained up, running out of time, and awaiting a captor who will never return. Detective Sergeant Charlie Cooper is desperate to find the missing woman alive. On the verge of quitting Homicide after a decade chasing the brutal killer, this is his last chance to atone for all the victims he failed. Connect with Catherine on Twitter, Facebook or on her website. This entry was posted in Books, Writing and tagged Australian Authors, Australian Crime Fiction, Australian Women Writers, Catherine Lee, Crime fiction, Dark Heart, Indie Crime Fiction, New Australian Fiction, Peter Bishop, Serial killer, Thriller, Varuna by jenniferscoullar. Bookmark the permalink. Not sure if I could read this one. My sister passed away 1 month after a heart transplant and now we are waiting for a 3 year old family member to receive one. That’s awful. I hope everything goes well for the little one. I’m so sorry to hear that, Patricia. Yes, my book might not be for you, but hopefully it can in some small way help to raise awareness for organ donation. I do hope for the best for your young family member. Yes indeed Catherine. I am all for organ donation awareness. Do you have any other books out? I’m having a bit of trouble with wordpress so apologies if another reply appears here. I don’t have any other books out as yet, Patricia. I’m working on getting my second, Dark Past, ready to publish in Feb or March next year. I totally understand why Dark Heart is not for everybody. Thanks so much for commenting, I appreciate you sharing your story. Thanks. She is my little great niece. Such a little sweetheart. I’m so old I remember how stunned we all were when Christian Barnard performed the first successful heart transplant. I’m not sure whether I could believe in the paranormal aspect of a heart transplant, but the idea of it is intriguing. As another indie, I wish you all the best Catherine, especially in the marketing. It’s not easy, but the rewards can be great. Thank you. Intriguing was my thought, too. What if? Good luck to you, too. It’s an exciting journey being an indie in today’s world, don’t you think?